Bangladesh Astronomical Association has started its journey in the year 1988 May 5. After attending a series of astronomy lectures in the Science Museum, Mash-hu-rul Amin and his other friends grew interested to buy a telescope. As telescopes were not really available in the market for sale as any other products those days and were rather expensive, Amin decided to form a club and raise funds to collect a telescope. Pretty soon, however, the narrow self-centered goal has been changed. Plan of buying a telescope has turned into a wider dream of spreading interest and knowledge of astronomy among the general public. BAA collect a telescope donated by Sajeda Amin & Syad Samiul Islam. 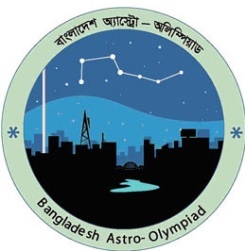 The Bangladesh Astronomical Association recently organised the national level Second Bangladesh Astro-Olympiad across Bangladesh. The national level competition was participated by over 100 contestants chosen from the winners of the divisional level among 1200 competitions held at the six divisional headquarters starting from May 2007. The participants were students of SSC/HSC levels(14-17 years). Students of SSC/HSC levels(14-17 years). In different times Astronomical Association gives award to the distinguished personalities for their contribution on astronomy. The award given in the name of Georndan Bruno who give his life to up hold the truth and was burnt in fire. In the "Bruno Padak" giving ceremony the first award was given to the astronomer professor Mohammad Abdul Jabbar. Then it was given to Dr. A. R.. khan in 1992, professor Dr. Jamal Nazrul Islam in 1994 and mr. Mojammel Haque (2007).